Merrily Kurtz served in the WAVES until 1947, then eventually got married and had a family. 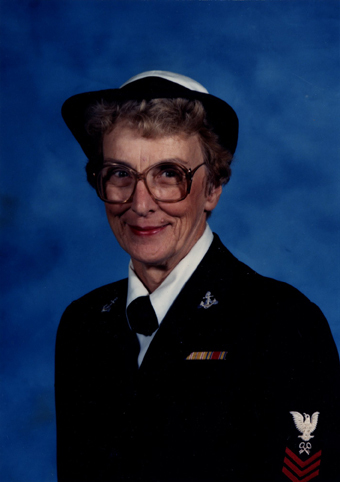 She later joined WAVES National, the group for female sea services veterans. I wanted to get away from home. I wanted to get out and see the world. And I did, I really did. And I have since. I’ve been lucky. I’ve gone to conventions and stuff. Met a lot of good people. That’s something. And I don’t know, isn’t that enough? This photograph comes from the collection of Merrily Kurtz Hewett.